If your car is totaled, your insurance company has the option of replacing it or cutting you a check for its value. However, you must have proper coverage before it will do so. 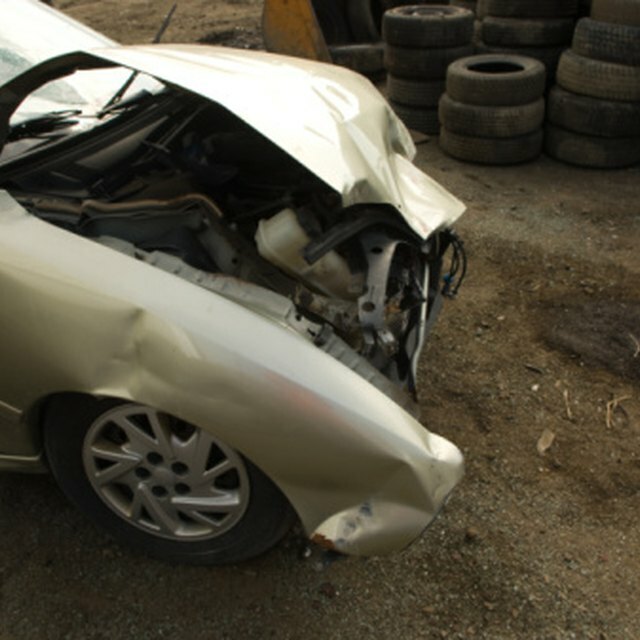 If an accident caused the damage, your policy must include collision insurance. On the other hand, if another event caused the damage, such as vandalism or a tornado, you must have comprehensive insurance, which isn't the same thing. Your auto insurance company will replace or pay you for your totaled vehicle as long as you have the proper insurance. You'll need collision coverage if your car was totaled in an accident, while you'll need comprehensive coverage for damage from natural disasters, criminal acts and other cases. To the average person, the phrase "total loss" probably means a car has suffered enough damage to make repairing it impractical or impossible. However, when dealing with auto insurance policies, it can mean several different things. For example, it can mean that the damage is so extensive it can't be repaired safely, that state law requires your car to be declared a total loss based on the extent of the damage, or that repair costs would exceed your car's value. If your car was totaled in an accident, your insurance policy must have collision coverage, which pays for damage to your vehicle caused by hitting another car or object. However, if the damage wasn't sustained in an accident, you must have comprehensive coverage, which pays for damage from events such as theft, vandalism, natural disasters, hitting an animal or falling debris. Once you submit your claim to the insurance company, the carrier has the option to either replace your totaled car or pay you for it. If it chooses replacement, it must provide you with a comparable make and model that's in similar or better condition than the one being written off. Although state laws vary, the replacement car typically must be from a licensed dealer and under warranty if less than three years old. What Does It Mean When an Insurance Company Declares a Car Totalled? What Happens When a Vehicle Is Declared a Total Loss? What Is the Insurance Formula for Totaling a Vehicle? If you reject the replacement vehicle, the insurer must pay you what it was going to spend for the replacement, including tax, title and transfer fees. If the company elects to pay you for the totaled car, you will receive a check for the vehicle's actual cash value as of the date of the accident. Your insurer will look at a variety of factors, such as your car's mileage, condition, age, and resale value, along with the sales price of comparable vehicles in your area. Before your insurance company replaces your car, it will likely require you to pay your policy's deductible. Depending on the policy you chose, this can be as little as zero dollars to more than $1,000. The higher your deductible, the higher your out-of-pocket costs will be. If you're receiving payment instead of a replacement vehicle, this amount will be deducted from the balance owed to you. Progressive: What Is Comprehensive Insurance?